What is a Bankruptcy Discharge and What Does it Mean? Home/Uncategorized/What is a Bankruptcy Discharge and What Does it Mean? What is a bankruptcy discharge and why do I care? The discharge order means that, with some exceptions noted below, an individual debtor who has been discharged does not have to pay a pre-bankruptcy claim. The discharge order is the goal in an individual bankruptcy case. If a creditor tries to obtain a personal judgment on a discharged claim, the bankruptcy court can sanction the creditor for violating the discharge order. What kinds of debts are not dischargeable? There are some claims that are not dischargeable in a bankruptcy case. Most tax claims, including most income tax claims are nondischargeable, so a bankruptcy discharge will not prevent the taxing authorities from collecting the taxes after the discharge. Domestic support obligations (child support, alimony, obligations under property settlement agreements–including obligations to hold an ex-spouse harmless from claims made by creditors, such as credit card companies, or obligations to pay the ex-spouse’s attorneys’ fees) are nondischargeable. Student loans are generally nondischargeable. Liens held by creditors are nondischargeable. A creditor with a lien can force the sale of the collateral (such as foreclose on a house, or repossess and sell a car) but the creditor cannot sue the debtor for any shortfall or deficiency remaining after a foreclosure sale. There are a several other claims, such as claims incurred by fraud, loans taken out in contemplation of bankruptcy, loans obtained through the use of a false financial statement, injuries caused by willful and intentional acts of the debtor, drunk driving or drug impaired accident judgments and a long list of less frequently litigated claims are not subject to being discharged. To obtain a discharge, the creditor has to be listed in the bankruptcy schedules and the creditor’s address has to be accurate, so that the creditor receives knowledge of the case. If a creditor is not listed, but has actual knowledge of the filing of the bankruptcy case—the non-listed creditor’s claim can be discharged. But how does the debtor prove that the creditor had actual knowledge of the filing of a bankruptcy case. In a Chapter 7 bankruptcy case, the discharge order is entered 60 days after the date set for the section 341 meeting, assuming that the debtor has completed the required financial management class. In a Chapter 13 case, the discharge order is entered after completion of the Chapter 13 plan, again assuming that the debtor has completed the required financial management class and has filed the certification required under the local bankruptcy rules. Normally the Chapter 13 discharge order is entered within 30 days following the filing of the Chapter 13 trustee’s notice of the final payment under the Chapter 13 Plan. To determine whether any of your debts are not dischargeable in a bankruptcy case, you should consult with a bankruptcy lawyer in your state. Congress requires that I disclose that our firm is a “debt relief agency” as defined by the Bankruptcy Code. We help people file for bankruptcy relief under the Bankruptcy Code. As with all articles on this website, the contents of this article are not intended as legal advice for any specific legal problem. Nothing in this article is intended to create an attorney-client relationship between the author and the reader. 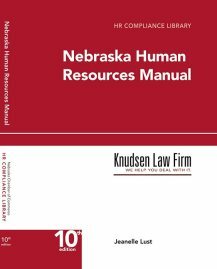 The author is licensed to practice law in Nebraska only, if you are involved with a bankruptcy in a state other than Nebraska you are encouraged to consult with an attorney licensed in the state in which the bankruptcy case is pending. Entities, such as corporations and limited liability companies do not receive a discharge in a Chapter 7 case. (Entities are not eligible to file Chapter 13 cases). Following a Chapter 7 case, a creditor could sue a corporation or LLC to collect a pre-bankruptcy debt from the corporation or LLC. However, because the Chapter 7 trustee collected, sold and distributed any property of the corporate/LLC debtor, there is nothing for the creditor to collect. Some income tax claims are dischargeable. Generally the income tax debt has to be at least three years old and the income tax return had to be filed on time. A debtor should consult with an experienced bankruptcy lawyer to determine whether any tax claim may be discharged. Some secured claims may be stripped off of property in a Chapter 13 case. A debtor with a house or car with no equity should consult with a bankruptcy lawyer to determine whether some or all of a secured claim can be stripped off.